Rockport-Fulton and Aransas County want to say Thank you to all who helped us with Hurricane Harvey Recovery efforts. Our area is working hard to recover and bring back our charming coastal town. To find information on our recovery efforts and what is "open for Business" please visit: http://www.rockport-fulton.org/Hurricane_Harvey_Information. The Texas Gulf Coast is famous for its spectacular sunsets, world-class fishing, and quaint beachside towns. 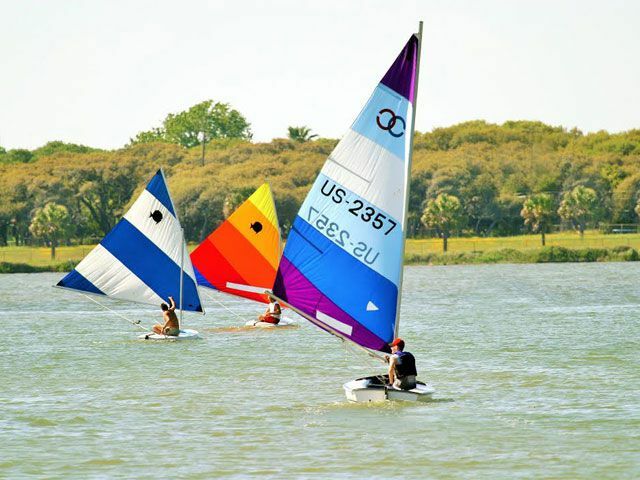 Few places embody the region’s spirit quite like the Rockport-Fulton area, a lively community nestled on the shore of Aransas Bay just northeast of Corpus Christi. Here, you’ll find clear blue waves crashing onto sandy beaches, anglers casting lines from fishing piers, streets lined with art galleries, and a stunning array of wildlife. These things have combined to make this place so popular with travelers that it was voted among the 10 Best Coastal Small Towns by readers of USA Today. If you’re looking for a beach getaway, some of the best fishing around, or a unique weekend retreat, find your way to Rockport-Fulton. Your time in Rockport-Fulton will most likely begin at the beach, and for good reason. Rockport is home to the first Blue Wave Beach in Texas, a designation given by the Clean Beaches Coalition to communities that are committed to promoting healthy beaches. Rockport Beach, as it is known, offers plenty of space to swim, fish, or simply relax and listen to the waves. Fishing is one of the other popular things to do in town, and it’s easy to see why. The warm waters in Copano Bay and Aransas Bay are teeming with aquatic life. Flounder, redfish, and speckled trout are the most common fish in the area, and you can try your hand at catching them from one of the many piers, including Copano Bay Fishing Pier and Fulton Pier. If you love to go birding or wildlife watching, Rockport-Fulton is for you. This part of the Gulf Coast is one of only two wintering spots for the whooping crane, a rare bird that migrates from the northwestern reaches of Canada in the autumn. These birds are among the more than 400 species you can find at Aransas National Wildlife Refuge and Goose Island State Park, two natural areas that offer some of the best hiking trails and camp sites in the area. While you’re in Goose Island State Park, don’t miss The Big Tree, a massive 1,000-year-old live oak that is thought to be one of the largest of its kind in the United States. Back in town, you’ll discover several landmarks that are worth visiting. Start at the Zachary Taylor Tree in Rockport for an interesting bit of history. Back in 1845, future president Taylor rested under the massive live oak tree while moving his United States soldiers south to the Rio Grande just as Texas was transitioning from a republic to a state. After seeing the tree, find your way to the Fulton Mansion State Historic Site, a beautifully restored 19-century estate constructed with mansard roofs and intricate exterior detailing commonly found in French Second Empire architecture. For even more history, stop by the Fulton Schoolhouse Museum set within the town’s original one-room schoolhouse. Head back to Rockport to discover the Gulf Coast’s seafaring past at the Texas Maritime Museum, which covers everything from initial European exploration to the modern oil industry. A short distance away, you’ll find The Aquarium at Rockport Harbor, which has displays showcasing the area’s diversity of marine life. As you can see, there are many ways to enjoy your time in Rockport-Fulton. Plan your next vacation here and you’ll see why this part of Texas is a traveler favorite.